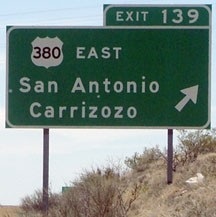 The green sign in the distance gives mileage to Carrizozo (64) and Roswell (153). 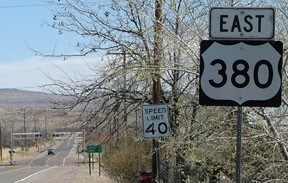 Before I-25 was built, today's NM 1 was US 85. 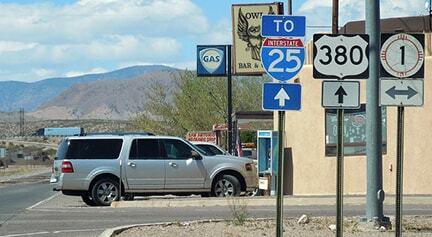 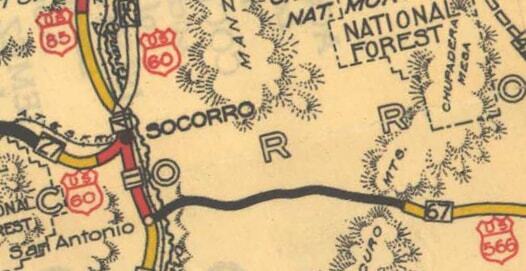 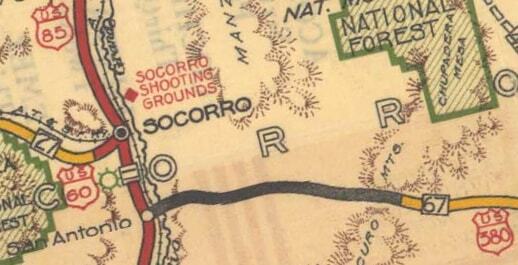 When the US routes were initially commissioned in 1926, it was actually US 566 that began straight ahead. 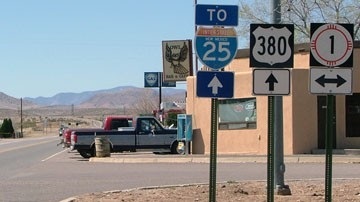 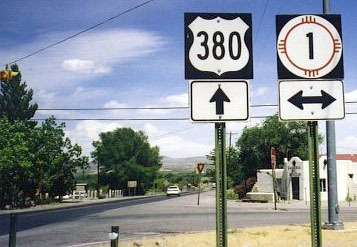 That was the case until about 1932, when US 566 became part of the new, longer US 380. 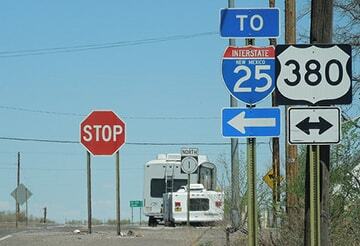 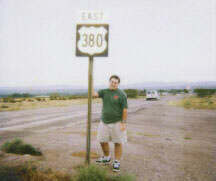 So from then until the opening of I-25, the west beginning of US 380 was straight ahead. 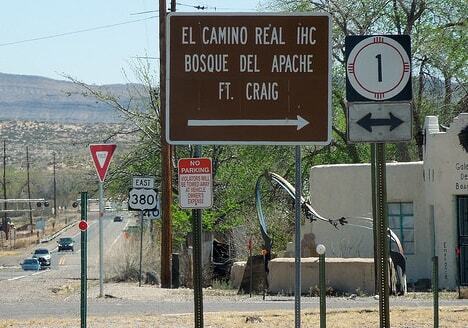 last updated Sep. 22, 2016.